Οδηγός χιονοδρομικού για Hintertux, χάρτης περιοχής και διαμονή για Hintertux. 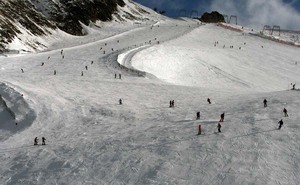 At the end of the Ziller valley, Hintertux offers year round skiing on a glacier at over 3000m. 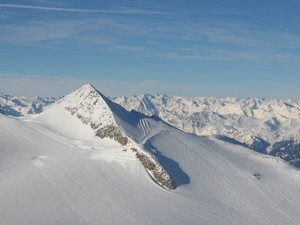 However, it is not uncommon for the lower half of the mountain to be snow free when everywhere else in Austria has snow. This can cause congestion and long lift queues. 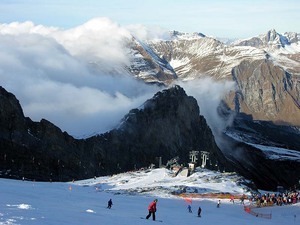 The proximity of Hintertux to large urban areas such as Munich (2hrs) means it is often over-crowded at the weekends. There are good intermediate and advanced slopes higher up the mountain although beginners may struggle if the lower slopes lack snow. 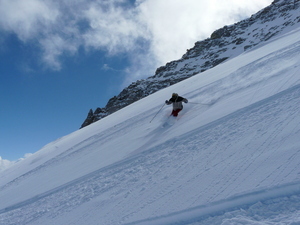 Off the piste, at Hintertux, there is little to the village except a handful of expensive hotels and a big car park. 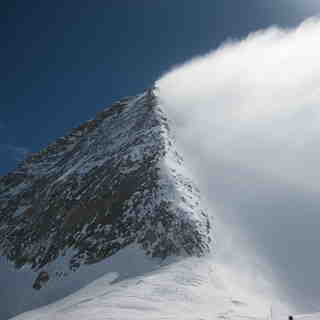 It appears that Hintertux caters for weekend trippers rather than those staying for a week or two.